I would like to receive occasional information and updates from Hannah's Willberry Wonder Pony Charity Auction October 2018 and jumblebee. A very warm welcome to Willberry's auction! There is something for everyone so please browse all the items . 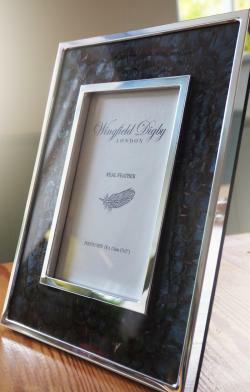 All our wonderful prizes have been generously donated so ALL proceeds go to the charity. 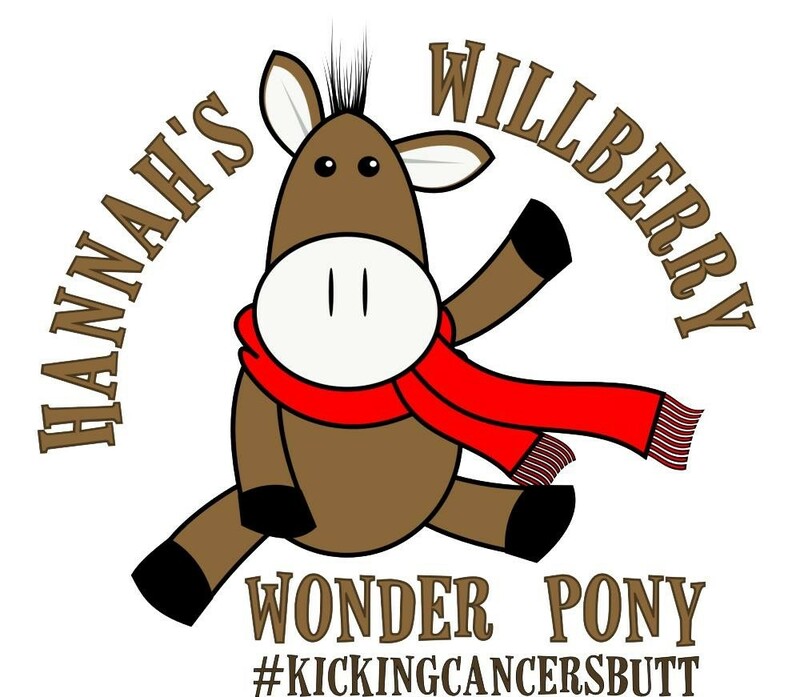 Every penny raised will fund much needed work in cancer research and provide equine related wishes to seriously ill people by granting 'Willberry's wishes'. Thank you for looking and for bidding - please share so as many people as possible can join in the fun! A photoshoot with talented photographer Henry Szwinto! 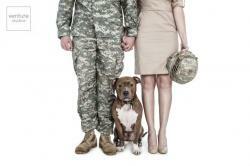 This prize also includes 3 fully edited digital images of your choice from the shoot. 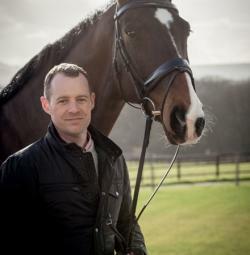 The voucher can be used for equine photography or can be used to photograph dogs or humans. 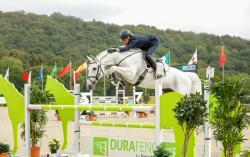 One Horse and one rider but additional horses can be added for a negotiated price. Winner will be required to provide a suitable venue (preferably an indoor school or large barn) and will be responsible for the associated costs involved. The winner will also be responsible for any significant travel expenses incurred from SO41. Additional images can be purchased and a quote for canvasses, large prints and acrylic mounted prints etc. can be provided but the winner has no obligation to purchase. 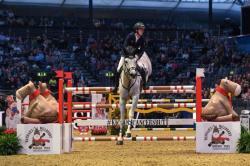 2 Tickets for the Wednesday afternoon performance (19th December) at the London International Horse Show, Olympia. Howson Media will create an edited 1-3-minute corporate video using a variety of filming methods including ground cameras and aerial videography summarising your entire business in the most beautiful way possible. -	Travel expenses will have to be paid if filming location is outside of a 50 mile radius of Oxford. 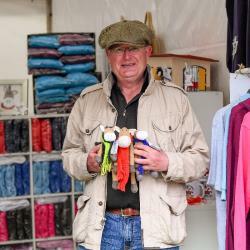 WellyKim provide a bespoke service specialising in producing tweed animals and quality accessories. 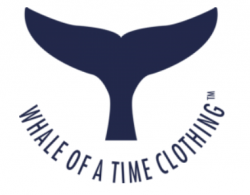 Take a look at their facebook page for some inspiration! One of Thermatex's best sellers - this knitted summer rug can be in a size and colour of your choice . A Helicopter ride around Frome (from Orchardleigh House). Date and time to be coordinated between the winner and the pilot. Weather permitting. 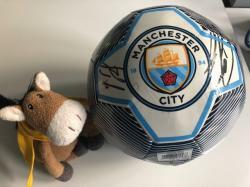 Kindly donated by Willberry (and Ingrid Klimke's) friend SAPberry - A Manchester City football signed by Manchester City players. 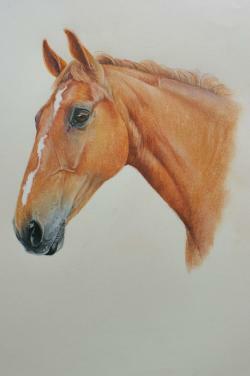 An unframed head study by renowned artist, Jan Barnett. To be done from photographs supplied by you (animal can be photographed by Jan if brought to visit her). Size approx. A3 (to suit particular animal). 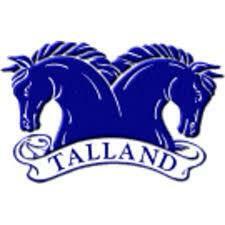 Unmounted and horse not to be wearing any tack. Unfortunately this prize cannot be ready in time for Christmas 2018. The lesson is for one person on their own horse at Spencer’s yard near Reading, Berkshire at a mutually convenient time to both parties. 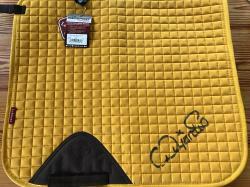 Your very own personalised boot bag AND saddle pad from Apatchy London. 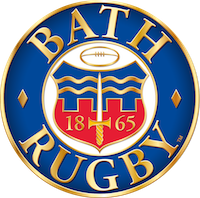 - Weekend of 08 - 10 Mar, K/O TBC, Bath Rugby V Saracens (Gallagher Premiership). •	Excellent family day out. Children are most welcome to the box. •	There is an informal atmosphere in the box. No dress code etc. •	Complimentary food and drink. Sunday 2nd June 2019 in beautiful Northumberland. Entry & car park passes for 4 people PLUS 4 tickets to the infamous Belsay lunch!! 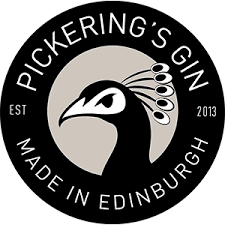 2 visitor passes to multi-award winning Pickerings Gin. 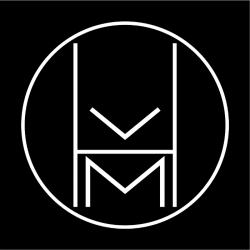 Their marvellously mixed gin is hand crafted at Summerhall Distillery – the first exclusive gin distillery to be established in Edinburgh for over 150 years. The tour includes complimentary G&T and 3 samples of their core range. A £100 gift voucher to be spent on any bespoke British bridlework, lifestyle or accessories range purchased from Kate Negus Saddlery. 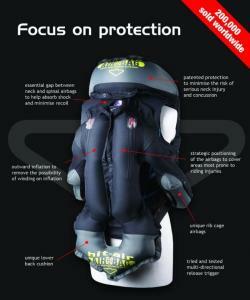 A voucher for £100 towards the purchase of a HitAir Jacket from Treehouse Sporting Colours. 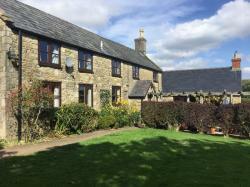 Choose from the following cottages: The Gate Lodge, Elastic Cottage & The Old School. Dogs are welcome, however there is a charge of £24/pet. Maximum of three. Sea Trout fishing- 1st July-31st October, Brown Trout fishing available throughout the whole year on Lochans - On rivers, the season is from the 15th March-30th September. Red hind stalking 21st October - Mid December. Dates are subject to availability. Week cannot be taken in August 2019 or Christmas/New Year. 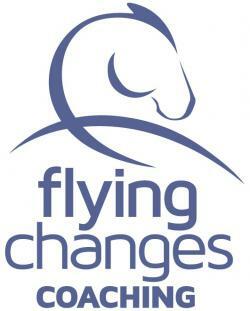 A One Day Intensive Coaching Package with Jenni Winter of Flying Changes Coaching. 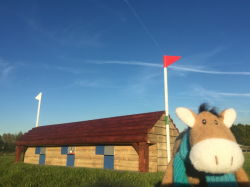 The day consists of a morning of un-mounted mindset coaching and the afternoon is ridden coaching (to put the morning session in to practice) but Jenni is happy to offer a full day unmounted if required. Travel expenses of 45p per mile from GU12 to be paid to Jenni Winter. The day must be booked to take place before June 2019. A Family Pass (2 Adults, 2 Children) to Blenheim Palace. A chance to explore the beautiful house and gardens. 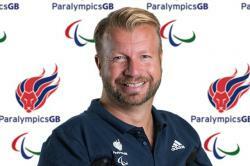 The lesson is for one person with Paralympian Sir Lee Pearson CBE on their own horse at Lee’s yard in Staffordshire or at a yard within Staffordshire of Lee’s choice (or if Lee is teaching a clinic near the winner then a discounted lesson could be offered but arena expenses etc will need to be covered). At a mutually convenient time for both Lee and the winner. 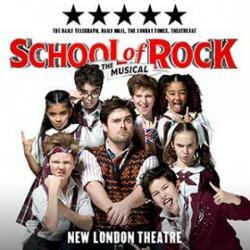 TWO seats at a performance of Andrew Lloyd Webbers hit musical 'School of Rock' at New London Theatre, Drury Lane, London. Any Monday evening, Wednesday evening, Thursday matinee, Thursday evening or Friday evening performance. Must be used within 6 months of the auction. 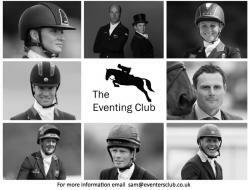 The Eventing Club has been set up to enable Eventing enthusiasts to enjoy an association and involvement with a team of the World's best Event riders. The aim is to ensure that members feel a part of this fabulous sport through frequent and fascinating updates, photos and videos from each rider, exclusive news from the yards, behind the scenes, the opportunity to follow the horses and riders throughout the season and inside information on the fitness regimes, feeding plans and next steps. Offering a unique insight into what it takes to be at the top. 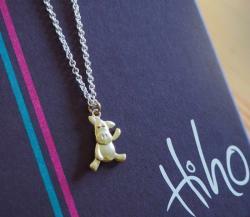 This ONE OFF piece of jewellery has been specially designed and made by HiHo for the Charity. A beautiful 16" White gold chain and a 2cm gold Willberry pendant - there isn't another necklace like this ANYWHERE, this is the only one! 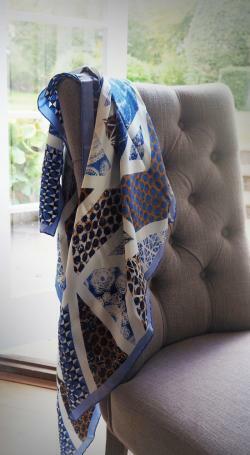 A beautiful 'Tavira' Silk scarf, made in England, digitally printed with hand rolled edges. Measures 44" x 42"
Be wine and dined at Geoff and Ann's home in Wanstrow, Somerset. This is for 6 people. Aperitifs and canapés on arrival. Four course dinner with wine (dietary requirements can be accommodated). Followed by Coffee and brandy. Fabulous opportunity for 2 people. 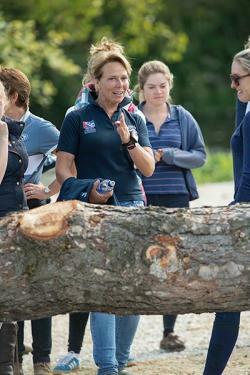 A personal course walk with Badminton course designer Eric Winter, on the Thursday or Friday of Badminton 2019 (to be confirmed nearer the time). Does not include entry to the venue. Eric will drive you around the course, getting out of the car to walk particular fences and more technical lines. You can discuss Eric's decisions for the course design for 2019 and beyond. Very exciting! 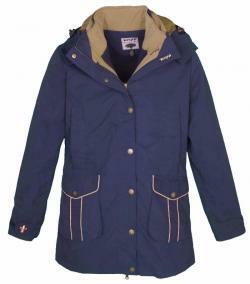 Navy, Size 12 - Ladies 3 in 1 coat. Super soft waterproof and breathable with taped seams. Zip in/out shaped fleece jacket. Zip on/off hood with adjustable drawcord. Storm flap and chin guard. Studded vents at back. Tour for 4 people of 2017 Grand National winning trainer Lucinda Russell's yard 'Alary House Stables', Milnathort. Tour of the yard, watch the horses on the gallops followed by refreshments. Mutually convenient date. Must be taken before End June 2019. This practical and stylish rug has a 600 denier ripstop, waterproof, breathable, polyester outer and inner nylon lining with no filling. 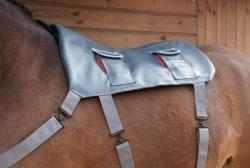 Adjustable double front buckles with quick release clips, hook and loop style fastenings on the neck and chest, adjustable low cross surcingles with rubber slots, reinforced nylon anti-rub shoulders with gussets, adjustable and removable leg straps, gusseted tail flap with reflective strip and fleece wither protection for added comfort. With three D-rings for the detachable neck cover - also included. 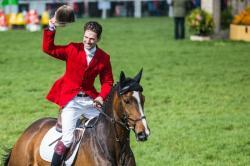 A treatment for rider and horse PLUS a follow up for both. 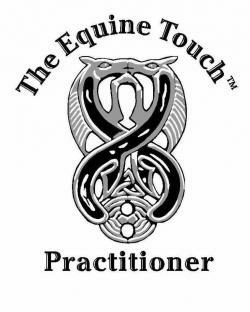 Equine Touch is a non diagnostic, gentle, hands on energy and muscle release body work for all horses and humans. Being holistic it addresses the whole body, working on a physical, emotional and spiritual level. 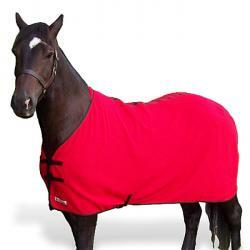 Equine Touch can help with so many issues. After 30 Miles from Shepton Mallet a charge of 20p a mile is charged. Any further treatments will be charged for. Kitty, a patron of Hannah's Willberry Wonder Pony Charity, has very kindly offered us a 1 hour lesson on your own horse with Kitty at her yard in Lower Stanton St. Quintin, Wiltshire. Lesson to be at a time mutually convenient to both parties and will include a yard tour and light lunch. 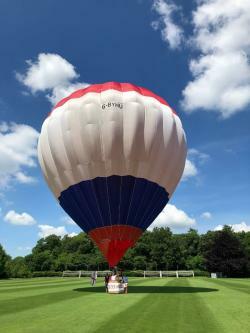 This lot is for 2 people to experience a ‘hands-on’ personalised 45 – 75 minute hot air balloon flight. 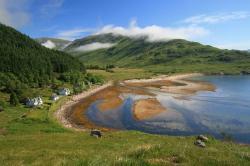 This 2 night stay in beautiful Kinloch House, Blairgowrie is for 4 people (2 rooms) and includes room, dinner and breakfast. This voucher is valid until end of November 2019 but cannot be used in August, September, at New Year or over bank holiday weekends. Enjoy a race day at Salisbury Racecourse - 2 x 'Grandstand & Paddock' vouchers for a meeting in 2019. 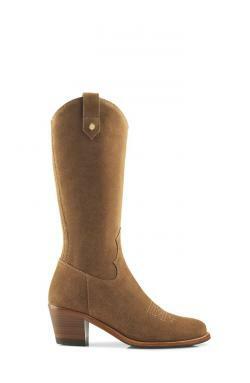 A pair of the beautiful & stylish Rockingham Boots by Fairfax and Favor. Tan or chocolate in a size of your choice. Includes 2 hr photo shoot focused on capturing the friendship between you and your horse and a beautiful 16" handmade framed and mounted print - delivered. 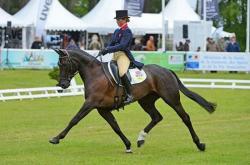 Hannah has worked with 4* eventers as well as top equestrian brands. 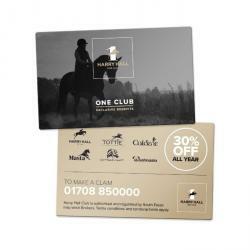 Harry Hall One Club membership includes £10M public liability insurance and £10K personal accident insurance, along with saving up to 30% off brands at HarryHall.com all year round. Venue hire will be included within a group session but may be payable as extra for a private lesson – depending upon venue. 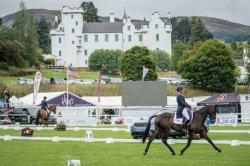 Very generously, Blair Horse Trials have donated a 2019 camping ticket for 2 with general admission + 2 tickets to visit the castle. The £245 voucher for Venture Portraits includes a 1 hour photo session, 1 hour cinematic viewing and a complimentary framed 7x5 image of their choosing worth £95. 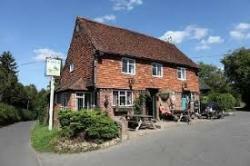 A meal for 2 people at The Rock at Chiddingstone Hoath - A beautiful country pub, in the Weald of Kent, with excellent food, pub grub and drinks. (Drinks not included). To be used by the 30th November 2018. MOJO Performance wristbands are embedded holographic discs and are programmed to work with your bodies natural frequencies resulting to help you get the most out of yourself. 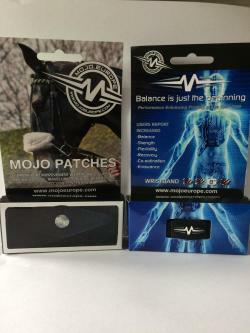 Wearing Mojo holograms may improve balance, strength, flexibility, energy and focus. MOJO wristbands have helped with a whole range of issues including joint and muscle pain, blood circulation, stress, endurance, and jetlag . 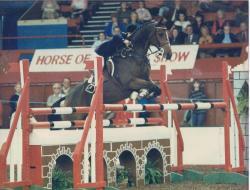 SJ Lesson with Ros Morgan plus MUCH MORE! 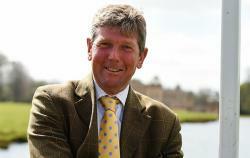 Elite Equestrian Coach, Ros Morgan, has put together a wonderful prize package for Willberry's auction! 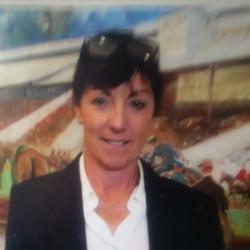 - a treatment with Rachel Corbett BSC.hons.ost., D.O.Vet.dip (ost) is available if needed and wanted . To be arranged on a mutually convenient date for both parties. 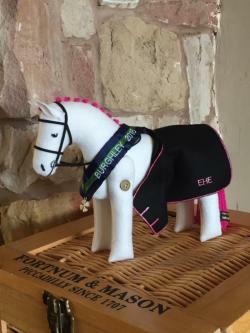 -	A Lesson on your own horse at Imogen’s Leicestershire base in Willoughby Waterleys, inc a yard tour, meet the horses and refreshments. 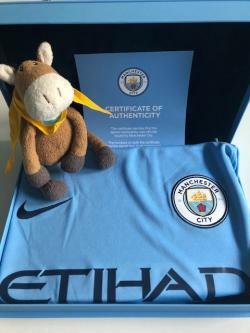 A unique prize so lets get bidding!! 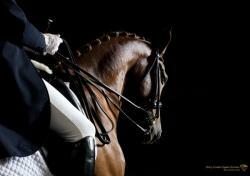 A £50 voucher for Collective Equestrian, Bristol that can be used for training sessions, camps and clinics. 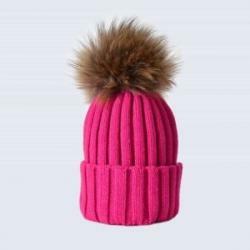 A beautiful beige and 'bubblegum pink' Harris tweed reversible neck-warmer and matching natural faux fur & pink suede reversible head-warmer. Patrick Latham has very kindly offered this Light Blue Size 14 'RhinoSkin'. Willberry logo on the right upper arm and wording in the lowers sleeves and back. A voucher for a custom baselayer, matching faux fur pom pom silk, a 3 row crystal browband and matching stock pin! 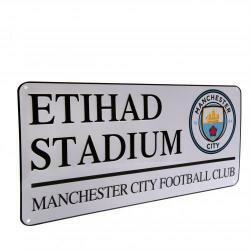 SAPberry continues his generosity to his friend Willberry by giving 2 premium tickets to the Premier League home game against Arsenal - probably on February 2nd 2019 but the date is yet to be confirmed. 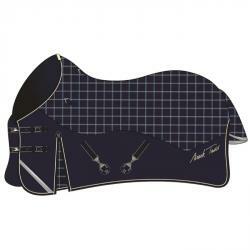 A lightweight and portable massage pad, which works by stimulating the muscles on the horse’s back by pulsing, vibration and stroking actions. Comes in a black carry/storage case. 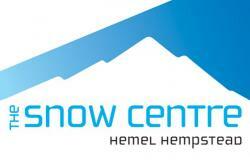 £25 to spend at The Snow Centre, Hemel Hempstead. 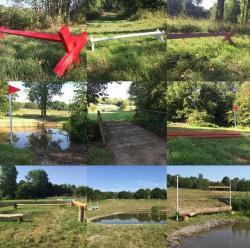 This fabulous 90cm XC Fence has been lovingly made by Sussex Courses especially for this auction. Vittoria has very kindly offered a tour of her lovely yard in Brand Green, Gloucestershire. For up to 4 people - a guided tour round her yard, meet the horses and team and enjoy an afternoon tea. Your very own event photographer for a day! 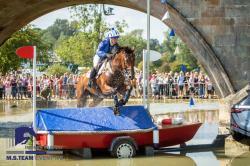 After the wonderful success that this prize proved to be in our last auction, Tanzy Lee - well known photographer on the SW eventing circuit and hugely supportive Friend of Willberry - is again offering the fabulous opportunity to accompany you to an event as your Personal Photogrpaher for the day. He will also provide you with SIX A3 prints from the day. A Day ticket Voucher for 2 adults and 2 children valid until January 6th so you can visit the magical 'Festival of Light' and safari park at Longleat in the run up to Christmas this year! 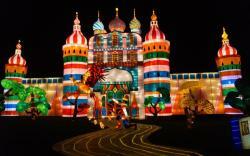 A 2nd Day ticket Voucher for 2 adults and 2 children valid until January 6th so you can visit the magical 'Festival of Light' at Longleat and the safari park in the run up to Christmas this year! 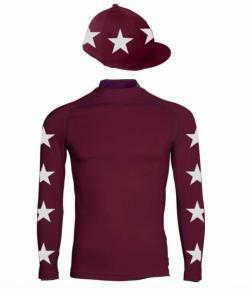 A £60 voucher towards a Hardy Etc Cross Country Set - Pick your own colours from their stock range (see link below) . 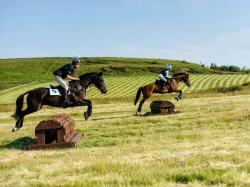 This voucher could be put towards any luxury self catering accommodation, campsite or pitch costs and also Equestrian stable stopover costs and XC schooling at Lindores Equestrian in Newburgh, Fife (home of the first Willberry Wonder Pony XC Fence! ).